Better Factories Cambodia: A 10th Anniversary is a unique, comprehensive and humerous look at the ILO’s Better Factories Cambodia programme which monitors and reports on working conditions in Cambodian garment factories according to national and international standards. It does this by helping factories to improve working conditions and productivity, and by working with the Government and international buyers to ensure a rigorous and transparent cycle of improvements. 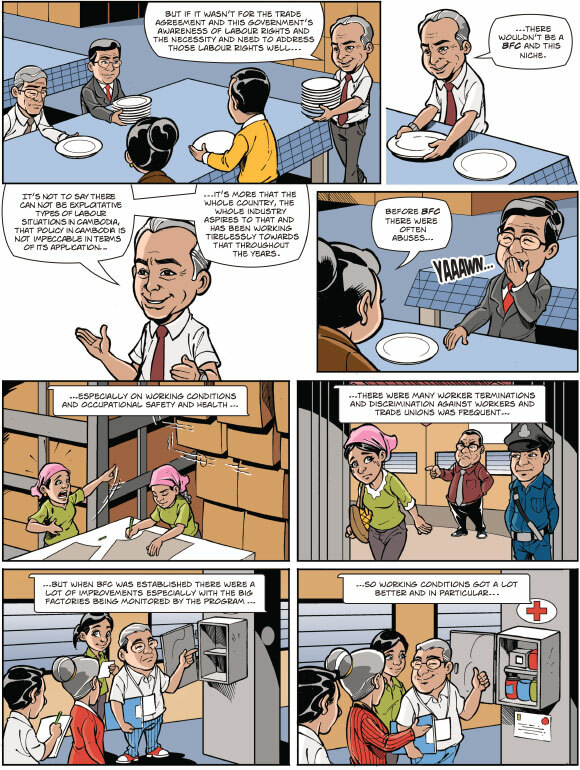 Partizan Creatives undertook a 10 year review of all that has been achieved by the ILO’s groundbreaking project by producing an oral history and cartoon comic book of the organisation’s work in Cambodia. 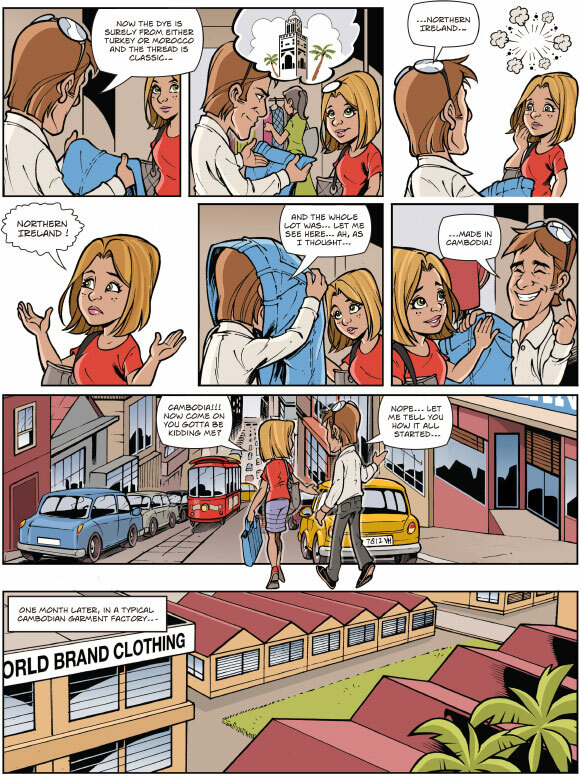 Utilising testimonials from 26 key players from the country’s garment industry the comic book set new standards for quality and production values. It is due for publication in February 2013.